I read this article and found it very interesting, thought it might be something for you. 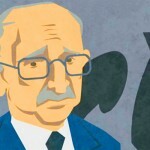 The article is called The Libertarian Economist Friedrich Hayek Gets a Makeover and is located at http://evonomics.com/the-libertarian-economist-friedrich/. My Evonomics article titled The Road to Ideology: How Friedrich Hayek Became a Monster resulted in a barrage of criticism from those who hold Hayek near and dear. In my own mind, these critics missed my main point. They should be joining me to defeat the ideologues who use Hayek for their simplistic “Market good! State bad!” worldview. Hayek’s ideas were far more complex and sophisticated. Moreover, they also need updating. If you think Hayek can’t do wrong, this post isn’t for you. Thankfully, amidst the clamor came an invitation from Peter Boettke, Director of the famed F.A. Hayek Center for Advanced Study in Philosophy, Politics, and Economics at George Mason University’s Mercatus Center, to give a seminar. If I was going to be tried and found guilty of profaning Hayek, at least it would be by a distinguished jury. My seminar was delivered on February 11 2016 and guess what? Here I am, alive to tell about it. As one person tweeted after the event, “We agree: the problems w/ modern econ require outsider thinking.” To be precise, they require the latest ideas from evolutionary and complexity science. That’s one of the main objectives of Evonomics. I am pleased to provide a recording of the seminar with the slides to readers of Evonomics. 1. Hayek was a true pioneer by basing economic theory on genetic and cultural evolution rather than enlightenment ideas about reason and the “physics of social behavior” that underpins orthodox economic models. 2. His position was heterodox in every way—for evolutionary biologists of the period in addition to economists. 3. Unsurprisingly, his ideas need to be updated based on advances in the study of genetic and cultural evolution in relation to human affairs. 4. 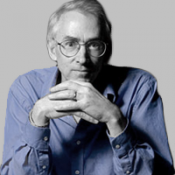 Evolutionists revere Darwin but they have also gone way beyond him and don’t consult his writing in their current research. The same goes for Hayek. The answers are to be found in contemporary research, not Hayek’s writings. 5. Currently, there is very little overlap between the sphere of economic thought centered on Hayek and the modern study of cultural multilevel selection. Something must be done to remedy this situation. 6. A brief tutorial on multilevel selection and its implications for human genetic and cultural evolution. 7. Updating Hayek on the nature of small-scale human society. 8. How cultural group selection led to the relatively democratic mega-societies of today. 9. The central importance of Elinor Ostrom’s work—something that is shared between economists influenced by Hayek and modern cultural evolutionists. 10. How Ostrom’s “core design principles” approach relates to multilevel selection theory. 11. Small-scale policy applications of Ostrom’s core design principles approach. 12. On the scale-independence of the core design principles. 13. On scaling up the core design principles as the primary challenge of large-scale governance. 14. Rethinking the concept of laissez-faire in terms of proximate and ultimate causation. 15. On the role of intentional planning efforts compared to blind cultural group selection and the need for “activist laissez-faire”. 16. On Norway as a nation that succeeds by implementing the core design principles at a national scale. 17. On how even Norway can turn selfish at the planetary scale, illustrating the iron law of multilevel selection: Adaptation at any level requires a process of selection at that level and tends to be undermined by selection at lower levels. It was a pleasure to address such a distinguished and well-informed audience and to get such an open-minded reception. I hope that the dialogue continues. The best way to honor Hayek is to make sure that his vision of placing economic theory on an evolutionary foundation remains updated. Business Schools Have It Backwards. Companies Survive Longer When They Put Employees First.